"Closing the border to legal commerce would be devastating to Texas," U.S. Sen. Ted Cruz, R-Texas, said in a statement Wednesday evening. "Millions of jobs, in Texas and across the country, depend upon trade with Mexico, and the federal government shouldn’t do anything to jeopardize those jobs." Trump threatened to close the border — or large sections of it — earlier this week if Mexico didn't "immediately stop ALL illegal immigration coming into the United States." While Trump has since eased up on the threat, it was enough to set off alarms in Texas, particularly in the business community. The Texas Association of Business said Monday that 1 in 5 jobs in the state is dependent upon trade and that "no group stands to lose more than Texans in communities" along the border, such as El Paso and Laredo. The business group pressed state leaders to speak out — and it was clear by Wednesday evening that some of them had gotten the message. "I told him that I understand his frustration, but I also believe shutting down the border would have a lot of unintended consequences," Cornyn said. He added that he "asked the president to let me work with this administration to come up with more targeted ways to encourage Mexico and Central America to work more cooperatively with us." Asked what Trump's reaction was, Cornyn said the president was "responsive" and told the senator to talk with Cabinet members. Even Lt. Gov. Dan Patrick — Trump's biggest cheerleader in Texas, particularly when it comes to his immigration policies — made it clear he opposed a border closure. 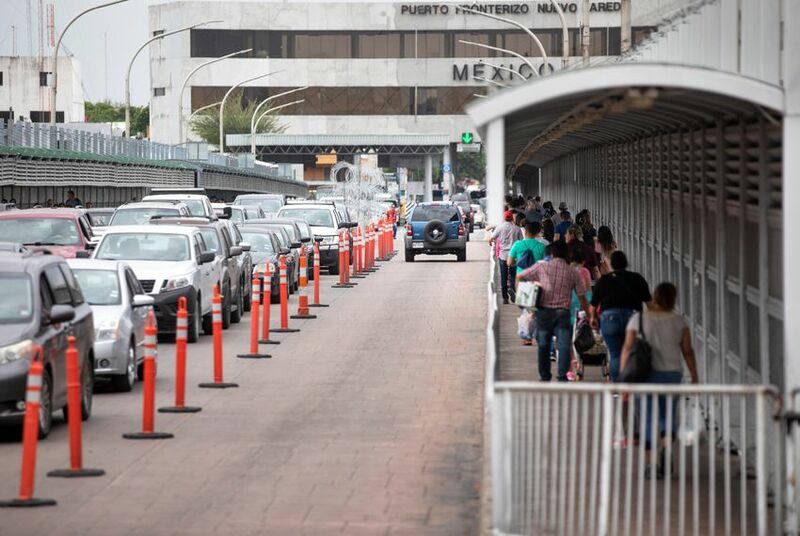 The Texas Senate, which Patrick presides over, passed a resolution Tuesday along party lines that declared an emergency at the border. "I'm not for shutting the entire border," Patrick said in an interview Wednesday morning with Fox News Radio. "The commerce would dramatically impact Texas, America and Mexico. I'd like to see the commercial lanes flow." Still, like other Republicans, Patrick sympathized with Trump's frustrations — and offered one solution. "Maybe he needs to send a message and close one port, one entry point," Patrick said. Disclosure: The Texas Association of Business has been a financial supporter of The Texas Tribune, a nonprofit, nonpartisan news organization that is funded in part by donations from members, foundations and corporate sponsors. Financial supporters play no role in the Tribune's journalism. Find a complete list of them here.